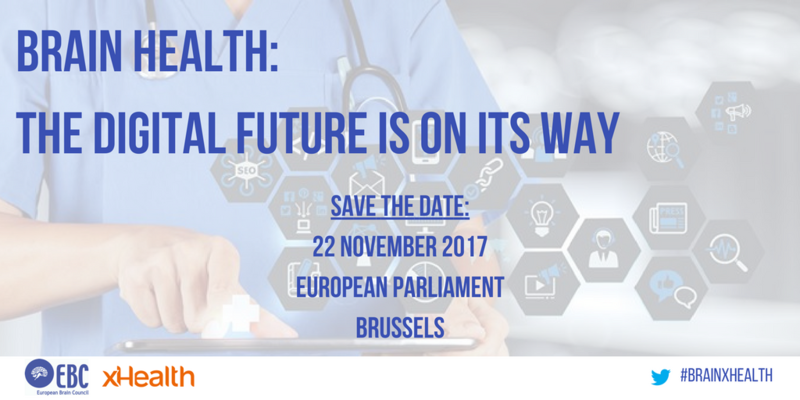 On 22 November 2017, EBC will hold an event in the European Parliament focused on the digitalisation of healthcare. 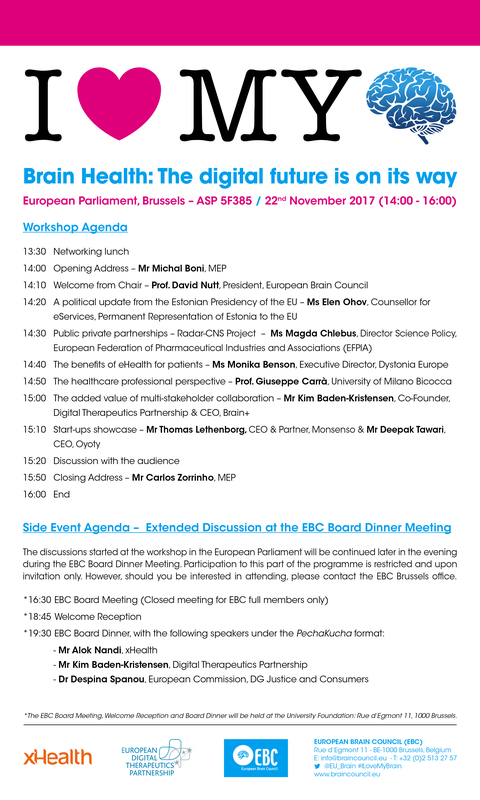 Hosted by MEPs Mr. Michał Boni and Mr. Carlos Zorrinho, the event will explore how digital technology for healthcare can benefit the brain, and how we can ensure that these benefits reach the people who need it most. As digital technologies continue to develop at a rapid pace and the use of health data continues to widen, both are beginning to change both our lives and the ways of healthcare, EBC would like to take a step forward and join the forerunners in the digital movement. We would like to join the leading voices in mHealth and medical digitalization, and believe we have the right arena to reach many different stakeholders. As we have demonstrated in previous projects and our mission as an organisation, we are firm believers of patient involvement and patient-centred care, two aspects that the digitalisation of healthcare and mHealth platforms support extremely well. EBC believes the future of healthcare and improved brain health easily lies in the hands of technology, and that the digital future is clearly on its way. The final agenda with speakers can be seen below.